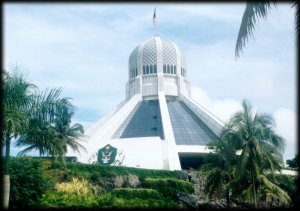 Cat Museum is located at the Kuching North City Council. It is the world's first museum devoted to cats. Here you can find a large range of exhibits of cats including pictures, books, souvenirs and etc. 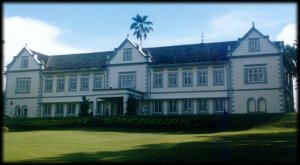 Originally built in 1891 to house and display arts and crafts of the indigenous people of Borneo, the Sarawak Museum has gained a reputation for having the single most comprehensive collection of Borneo artifacts to be found anywhere. After extensive extensions, the Sarawak Museum now straddles both sides of Jalan Tun Abang Haji Openg, with both buildings connected by an overhead pedestrian bridge. The original 1891 building was designed in style of a Normandy town-house and was extended to its present structure in 1911. The new wing, just across the road, was built in the 1970s and has a reconstruction of life in the prehistoric Niah Caves. Located at the Waterfront, this museum is devoted to the Chinese community of Sarawak. It exhibits the routes of early trading, migration from various provinces of China, early pioneers, trading formation, political history and Chinese associations. /td> The Sarawak Islamic Museum occupies the Maderasah, a concrete and brick building recognized as the only one of its kind in the state. Built in 1930 along Jalan P. Ramlee, it was originally meant as a college for higher Malay Studies. 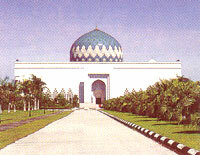 Today it is the first Islamic Museum to be established in South East Asia. It has seven galleries exhibiting Islamic artifacts from around the region and separate fascinating collections of old coins, weapons, costumes, pottery, textiles and jewellery from the Islamic world. This museum is located behind the new wing of the Sarawak Museum across the road. Seventy-six percent of Sarawak still remains covered by the unbroken emerald canopy of the primeval rainforest. And a large percentage of Sarawak' s indigenous population still lives on its ancestral lands, deep in the heart of the rainforest. 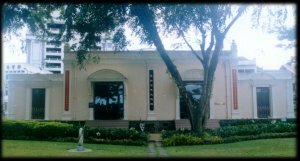 Timber Museum is situated in the Sarawak Timber Industry Development Council building (Wisma Sumber Alam) in Petra Jaya. 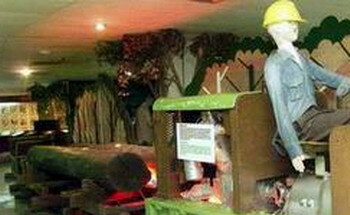 The Timber Museum showcases the unique composition of Sarawak's forest resources and its growing timber industry. The museum's exhibits also showcase the products of Sarawak's unique rainforest culture: the array of traditional wood handicrafts of the Orang Ulu - the indigenous tribes that dwell in the State's hinterland. Built on a 78,000 square meter site that includes forest walks, the Timber Museum offers many fascinating exhibits such as "Forest And Land Use", "Evolution of the Timber Industry", and "Traditional Wood Items", among others. Anyone with interest in forestry, traditional wood items, forest products and the development of the timber industry should head here.